Thomas Sinn has been infatuated with rockets as long as he can remember. In fact, he says that his earliest childhood memories were located right next to a European rocket engine test site. Once grown, he started studying aerospace engineering at Stuttgart; he continued on to earn a Master’s in the subject at the University of Kansas, close to the (perhaps-surprisingly-cosmopolitan) Kansas City. When he completed that degree in 2010, he bounced around the globe once again, this time to do his Ph.D. in Scotland. It was in Scotland that he first got the chance to roll up his sleeves and get hands-on with a rocket. The university was doing a few experiments on REXUS sounding rockets that involved a quick peek into the void — popping up 100 kilometers, then coming back down again, similar in concept to Spaceship 1 (the vehicle that Richard Branson funded that takes tourists up to space). It was there in Scotland that Thomas made “first contact” with a CYPRES cutter. To start to solve the problem, they talked the organisators of the REXUS programme, a consortium of the German Aerospace Centre (DLR) and the and the Swedish National Space Board (SNSB) together with the European Space Agency (ESA). works. At HPS, he’s helping to solve a very pressing problem in a very interesting way. 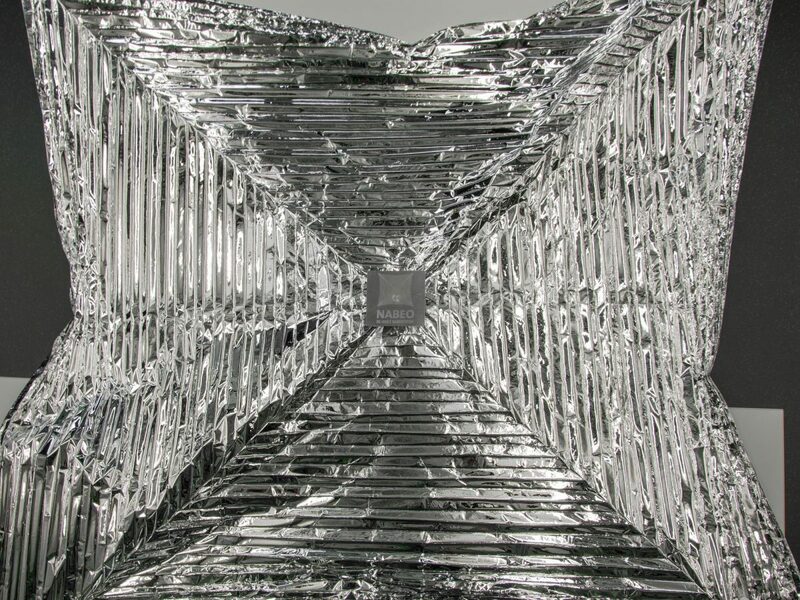 HPS is developing a dragsail subsystem that’s used to remove space debris. 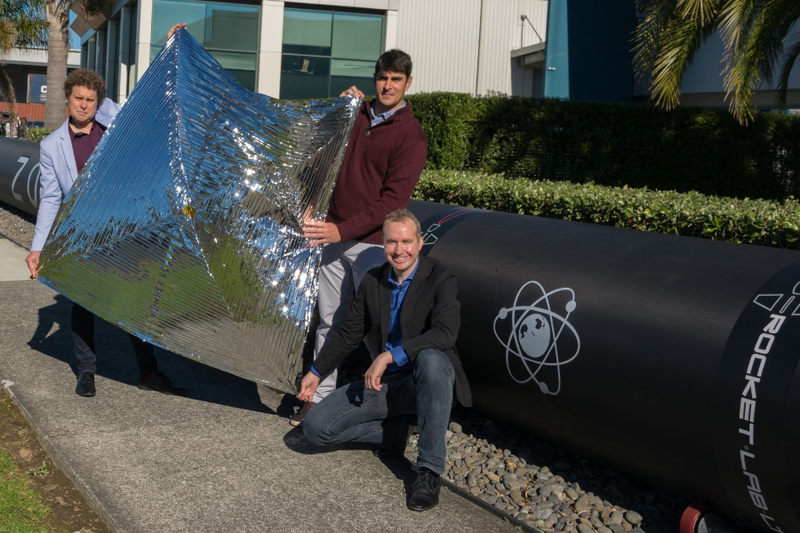 HPS has teamed up with Rocket Lab USA (motto: “Opening Access to Space to Improve Life on Earth”), to help get those space-scrubbing dragsails up where they can do their jobs, as well as helping HPS to push that dragsail development even further. Why? Because space junk looms as one of the most important (albeit rather hidden) environmental efforts of our time. 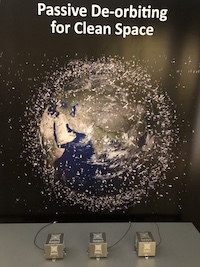 NASA tracks more than 500,000 pieces of debris — dead satellites and other bits of detritus — as they orbit the Earth. Right now, the situation is quite lawless. The only standard that pretends to exist is a 25-year guideline that says the following: if you launch something into space, you have to make sure that, within 25 years, it is able to remove itself from orbit. It’s not binding. If you fulfill it, great; if you don’t, it’s not a really big deal yet. Nobody will come after you. 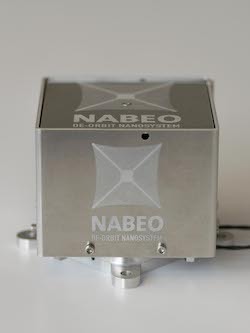 NABEO dragsail in stored configuration (source HPS GmbH). Photo courtesy of Thomas Sinn. that they shouldn’t be burdened with the worry about space debris removal, arguing that most of the space debris was brought up there by America and Russia, so they should also have a matching 40 to 50-year “grace period” to making trash before considering removal. That trash all travels at speeds up to 17,500 mph. And if the junkyard keeps growing unchecked? Bye-bye, outer space. HPS GmbH is now working (with the European Space Agency and the Clean Space Team) on systems to rid our orbit of such dangerous bits of flotsam and jetsam. They came up with the concept of using a dragsails to deorbit satellites when its usefulness is done. The sail is attached to a satellite before it launches; at the end of the mission life, it will open, increasing the drag area so it slowly spirals in and burns up in the atmosphere. Over time, that technology would slowly “scrub” low-earth orbit of space junk, resulting — hopefully — in a reasonably junk-free zone around the Earth, clearing the way for space missions. This is when the CYPRES cutters, thanks to Thomas’s student work in Scotland, came right back into play. The final criteria, of course, is the same criteria that you and I use when we’re choosing an AAD: Reliability. High-stakes space missions, of course, remain the dream to chase. 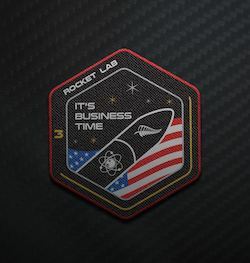 Right now, RocketLab itself is launching something on the order one rocket per month; soon, they want to step that up to are also a bimonthly schedule, then weekly. The launch site, 1,000 kilometers away from Auckland on a New Zealand peninsula, presents a spectacularly beautiful place to locate a basis for scientific boundary-expansion. 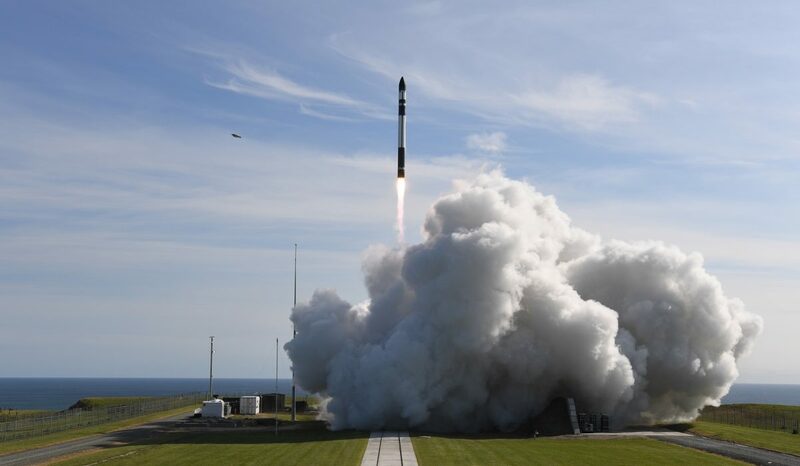 “New Zealand realizes that space is where we should go next, for science and for business,” Thomas says, “And so they were supporting RocketLab. Also, all the universities are there are getting more and more into space. It is a very nice vibe there right now. It is an amazing country, and the people are great.” He adds that the next launch will be around April. You’re invited to watch! Until then, Thomas will continue to fly the CYPRES flag as he builds sail after beautiful sail and flies them into space. We’ll be cheering him on every step of the way. To keep up with NABEO (and HPS’s and RocketLab’s other gorgeous efforts) or to simply gaze upon their knockout of a launch site, check them out on Twitter and Facebook. And support the project here, on Kickstarter!